My Rating – fabulous 5 stars! Peaches for Monsieur le Curé is the perfect antidote for a typically British Summer (wet and dismal!) as you’re immediately swept to the sultry setting of Paris in August. A voice from the past returns to haunt Vianne Rocher, now living on a houseboat with Roux and her children, Anouk and Rosette. It is eight years since she left Lansquenet in the South West of France and she “seems” to be settled and happy but something is calling her back and, after all, “What harm could it do?”. Readers who have shared the trials and tribulations of Vianne’s stormy life from Chocolat to The Lollipop Shoes will be equally enthralled by this latest instalment. Our story takes place during the month of Ramadan, beginning with the sighting of the new moon and the return of Vianne to Lansquenet. There are two narrators, Vianne and her arch-enemy, Reynaud, the village curate. The passing years seem to have mellowed Vianne and she keeps a low profile in the village. Once she was the threatening newcomer, the one who shook the foundations of this sleepy village but new tensions are emerging with the growth of a Muslim community. What follows is a thrilling narrative with two communities thriving on their own fear and ignorance. Reynaud is no longer the golden boy but will Vianne forgive and forget past grievances? I loved Peaches for Monsieur le Curé and only wish that every book I read had the same power to transport me elsewhere in the midst of characters so vivid I feel I know them. Joanne Harris weaves a seductively spellbinding narrative exploring what makes any community tick – our fear of the unknown, how easily prejudices take root spreading unease and tension. She’s not afraid to tackle the controversial subject of the niqab, the face veil which was banned by the French government in 2011. Indeed “Peaches” certainly provides a lot of food for thought! If you enjoyed Chocolat and The Lollipop Shoes you will relish this latest story and we can all live in hope that we haven’t heard the last of Vianne and her family. I have previously enjoyed other books by Clare Morrall, “The Man who Disappeared”, “The Language of Others” , “Astonishing Splashes of Colour”. Her characters usually drift around the edges of “normality”, not quite fitting in with the mundanity of daily life. Quinn Smith, the protagonist of her latest novel, follows this pattern, having elected to opt out of his usual routine and, ironically, achieve tranquillity living in a caravan on a busy roundabout. Disruption comes with the arrival of a junior reporter for the local rag, trying to sniff out a human interest story and Quinn’s life is literally turned upside down. Like the roundabout, the telling of Quinn’s tale takes the reader on a meandering, circuitous route as we gradually learn more about this reclusive character. The narrative flits between present and past, giving us snippets of Quinn’s rather unusual childhood, son of a prolific children’s author who showed little affection to her own three children or indeed the series of 14 foster children who make brief appearances. The mother is very reminiscent of Enid Blyton with her predilection for creating stories of a bygone age and a nostalgia for an innocence which perhaps never was. Ironically, Quinn’s present isolated existence with a narrow circle of acquaintances seems to be his first opportunity to live life to the full, away from the shadows of the past. 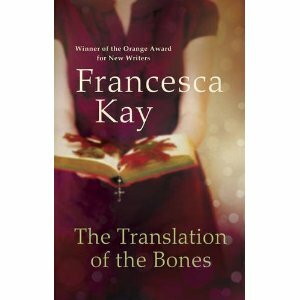 This is a beautifully written story with fully realised and engaging charcters. It’s a slow burner and one which rewards the reader’s time and concentration. At times I was slightly irritated by the tortuous nature of the narrative but then Quinn certainly didn’t lead a straightforward life! Fans of Clare Morrall will not be disappointed. So our story begins – the circus just appearing out of the ether as did my advance review copy of this debut novel, much to my delight. The UK edition looks stunning with black edged paper and end papers illustrated with a pattern of bowlers and top hats. This is a feast for the eyes which is perhaps not surprising as the author is an artist but will the inside match the luxurious facade? 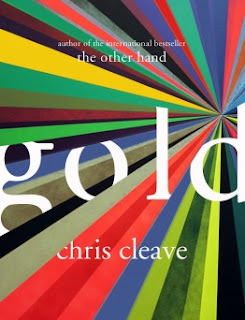 This is an odd review for me as, amid all my oohing and ahhing, I was all too aware of how some of my bookish friends would absolutely hate this book and would be cringing from the opening pages. So, best to get that elephant out of the room before I go any further! If you don’t like magical realism, if you’re not a fan of meandering narratives, if you prefer action, if you don’t like novels written in the present tense, if you don’t like fantasy then there’s nothing for you here. However, if, like me, you do like a bit of escapism, you like to slip into another world, if you enjoy visual stimulation, then step right up! 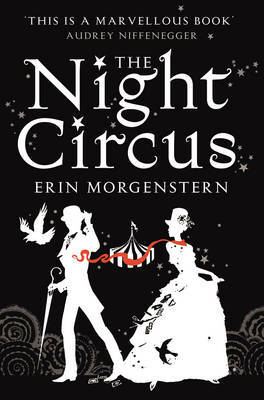 The story is perhaps the least important element of The Night Circus, that role being reserved for the circus itself but yes, there is an underlying narrative, the story of two gifted young illusionists, Celia and Marco, being pitted against each other in a lengthy battle the rules of which are vague. Le Cirque de Reves (the Circus of Dreams) is the battlefield and it soon attracts a faithful following of “reveurs” (dreamers) who follow its progress from town to town, continent to continent by means of a shadowy underground movement. There is a secondary storyline involving Bailey, a country boy who becomes linked to the circus and will have a key role in future events. There is a varied cast of weird and wonderful characters, including Celia’s villainous father, Hector, his rival, Alexander, the man in the great suit as well as the supporting cast who keep the circus going. These are not characters you expect to empathise with, this is a show after all and they are there to entertain you just as the various tents house a myriad of visually stunning scenes, the Ice Garden, the Cloud Maze, the Labyrinth etc. 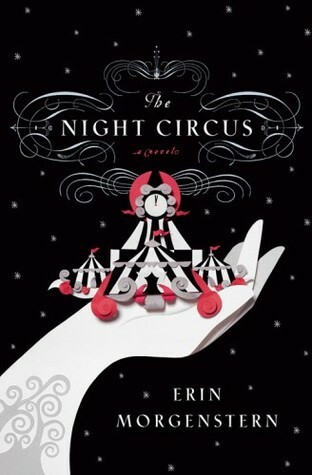 Some have compared The Night Circus with Audrey Niffenegger and yes, I can see slight similarities given that both authors are visual artists. Others mention Alice Hoffman and yes, I can see some elements in common but Erin Morgenstern has created a unique world with the Cirque de Reves and for those who are on the right wavelength she has provided a pathway to a singularly enchanting universe, one in which my inner child revelled. Highly recommended for all “reveurs”/dreamers. PPS I noticed that Jim Dale (of Carry On fame and narrator of Harry Potter audio books in the US) is narrating the audio book version. 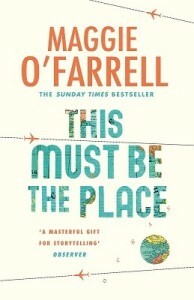 This is my first pick from the Orange Prize Long List 2011. The Road to Wanting is Wendy Law-Yone’s third novel but my first experience of a novel set in South Eastern Asia, in this case Burma and Thailand. The “Wanting” of the title is a town on the Chinese/Burmese border where we first encounter our narrator, Naga, a young Burmese girl whose life up until now has been a mixture of poverty, abuse and neglect. Jiang, the man who is to ensure her safe passage over the border to Burma, has just killed himself and Naga also contemplates suicide as she sits in a hotel room, in a limbo-like situation awaiting her fate. The first person narrative reveals a litany of trials and tribulations which have beleaguered Naga from an early age – as a child her parents sold her into slavery. Later she is “rescued” by an American family living in Rangoon and she leads a relatively comfortable existence as friend/playmate for their daughter. However, happiness is always in short supply as the family abandon her when the political situation becomes unstable. Naga finds herself tricked into prostitution in a brothel in Thailand and is later “rescued” again by another American, Will who will, in turn, abandon her when the novelty wears off. Thus, Naga finds herself at this turning point in her life, facing the possibility of returning to a homeland which probably doesn’t exist anymore. In the tradition of her tribe, the Wild Lu, each child had a “name-seed” to which their real name was entrusted but Naga never discovers her real name, mirroring the fact that she is displaced, not really belonging anywhere or to anyone. I loved the way the author captures the sights, sounds and smells of Burma and Thailand, the traditions of Naga’s tribe, the Wild Lu (apparently non-existent but she convinced me! ), the seediness of Bangkok, the chasm between the rich and the poor. Surprisingly there is also humour in the midst of all the tragedy. This is a very readable novel, lyrical and a very quiet read which somehow reflects the calm, stoic nature of our narrator Naga. She’s been passed from pillar to post and so dehumanised, always wanting to please and serve so that she’s never really had the opportunity to be her own person. The Road to Wanting is a beautifully written, intelligent account of a lost girl at a crossroads in her life; its, at times, matter of fact tone belies a poignancy which deeply affects the reader and you’re left with the hope that Naga will eventually achieve the happiness she so richly deserves. Neil Jordan is a man of many talents – director of fantastic films such as The Crying Game and Mona Lisa as well as a successful novelist. I really enjoyed Shade, his last novel published in 2005 so I’d been eagerly anticipating the appearance of Mistaken. Mistaken begins with the funeral of Gerald Spain, once a successful author, who died suddenly in his mid fifties. Our narrator, Kevin Thunder, was frequently mistaken for Gerald in his younger days, given their strong ressemblance. Physically similar, the two men come from contrasting backgrounds, Kevin hails from Dublin’s Northside, an only child whose home is also a boarding house; Gerald comes from the more affluent Southside, Palmerston Park. As Kevin’s story unfolds he gradually realises that he has a doppleganger out there, a situation which can have both pros and cons. The boys move to and fro, with chance encounters, mistaken identities in a type of macabre dance. Kevin envies Gerald’s money and social class and feels like a shadow-being, perhaps some sort of vampire feeding off his double’s apparent glamour. It’s quite appropriate then that Kevin lives next door to the house where Bram Stoker spent his childhood. The notion of a partial existence, of a life half lived, of regrets is echoed in the presence of a shadowy figure who seems to haunt Kevin – is this a figment of his imagination or a real threat? Mistaken is an intense novel which requires the full concentration of the reader. 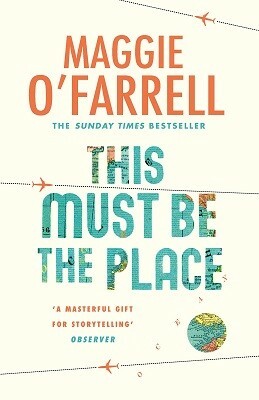 Even though it crosses time and continents, it remains a Dublin novel, with many chapter titles referring to different locations in the city. It’s a novel about loss and regret which makes you wonder about what other lives you might have led, given a second chance. It’s a very atmospheric and evocative read and one which I highly recommend.